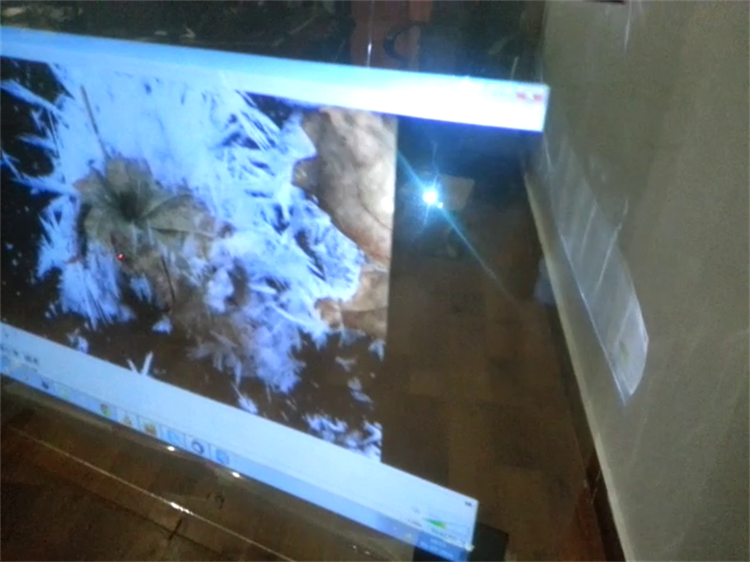 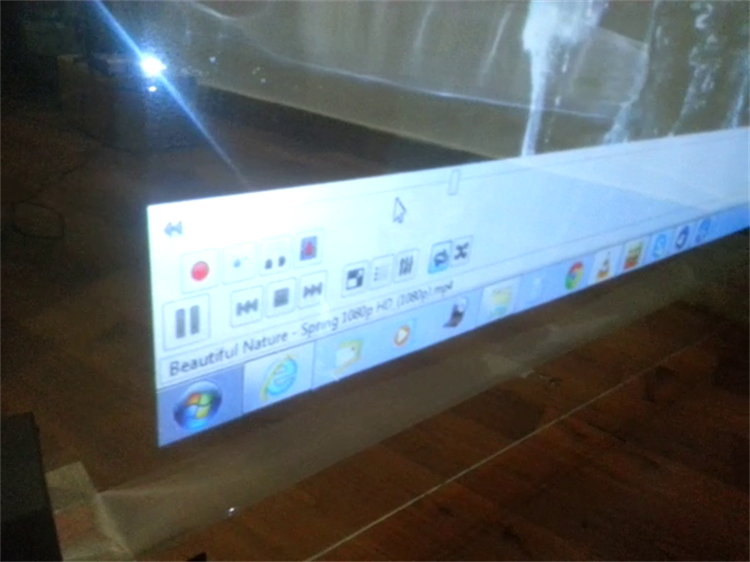 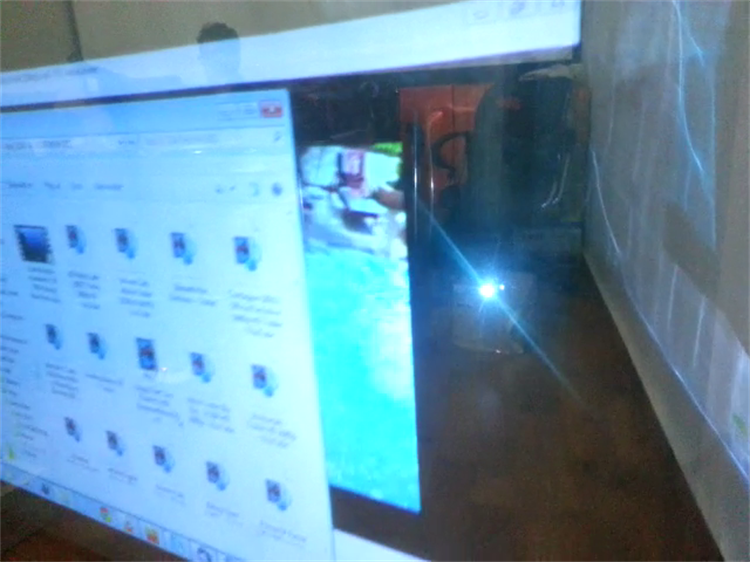 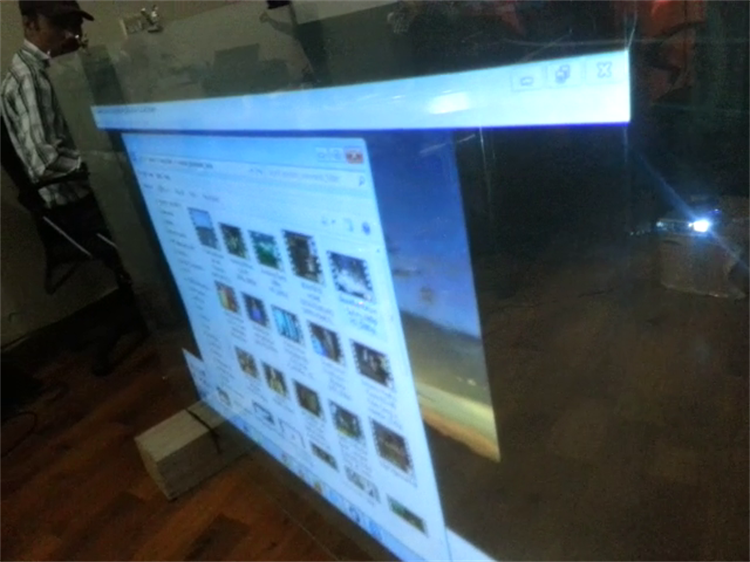 Holographic Rear Projection Film with self adhesive. 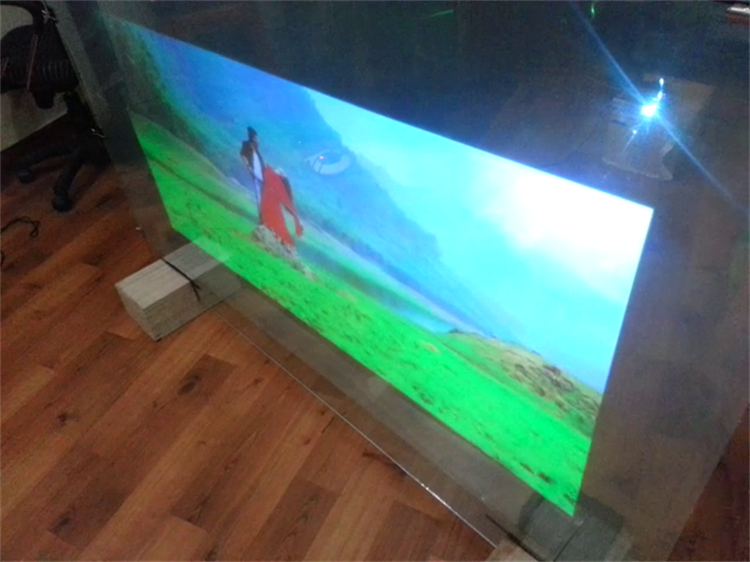 Perfect low cost alternative for indoor LED Display for advertisements and interiors. 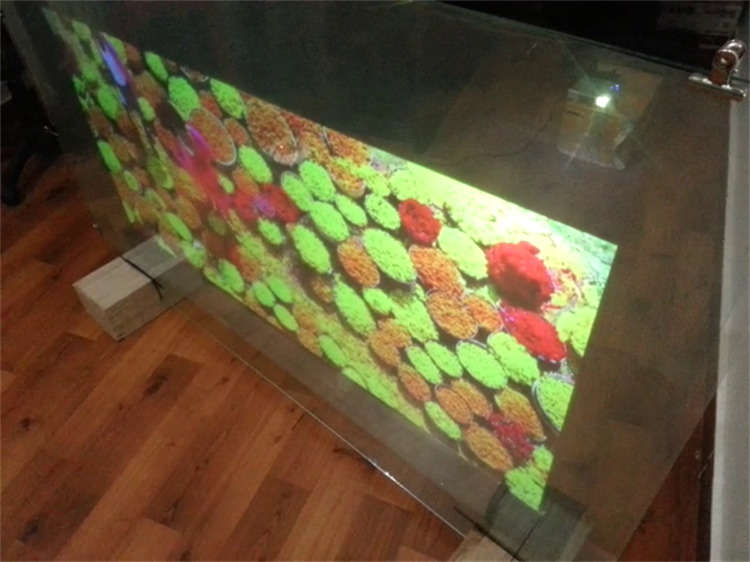 Any normal transparent glass get converted into live 3D Holographic Display Panel with help of good quality projector in the background.